The parkrun at Folkestone started a few weeks after Dartford parkrun and as I'm one of the core volunteers at Dartford, I hadn't been able to get down to try out their course on a Saturday morning. 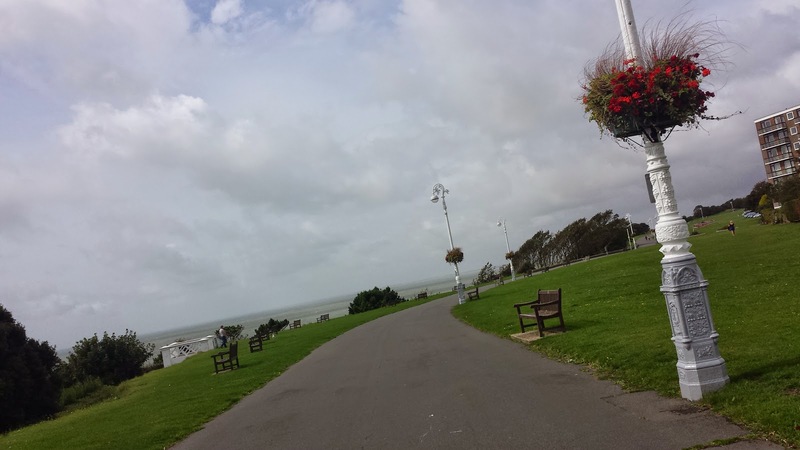 However, on Friday 29 August 2014 I was passing through Folkestone and decided to have a cheeky freedom run around the course. As it was a freedom run there were no marshals or signage to guide me so I had to rely entirely on the course description and the official course map. So the previous evening I sat down and studied the course page in detail. By the time I went to bed, I was happy that I had committed the course to memory. 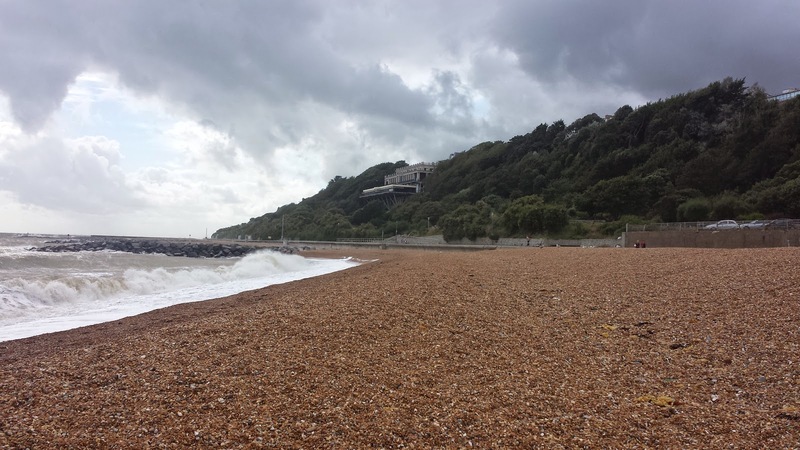 Folkestone parkrun takes place on tarmac paths along the top of the Leas Cliffs with the meeting point, toilets and start/finish area all neatly contained right next to the Leas Hall Cafe. 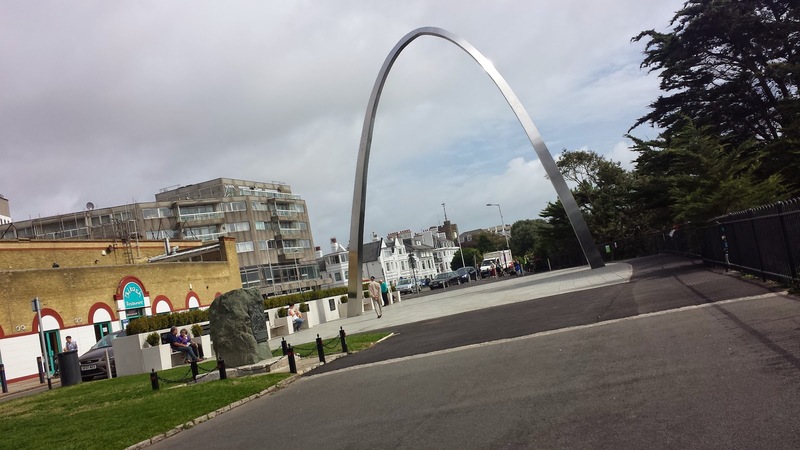 This in turn is right next to the Leas Cliff Hall, which is a magnificent structure built into the side of the cliff face and venue for gigs and shows - it's worth going down to the beach and looking back up to see it in all its glory. If you travel by car you will have to pay to park. If you're looking for the cheapest option you could park for up to two hours at a cost of £1 but this will involve parking right at the bottom of the cliffs and walking/running right up to the top. The closest parking spaces are on the road right next to the start/finish with a maximum stay of three hours and (I think) £1 per hour. The run itself starts just to the West of the cafe and consists of two out-and-back sections with one of them repeated twice. Anyone keen to glance across the road, may spot the statue of William Harvey, who was born in the town (in 1578) and is famous for being the 'discoverer of the circulation of the blood'. 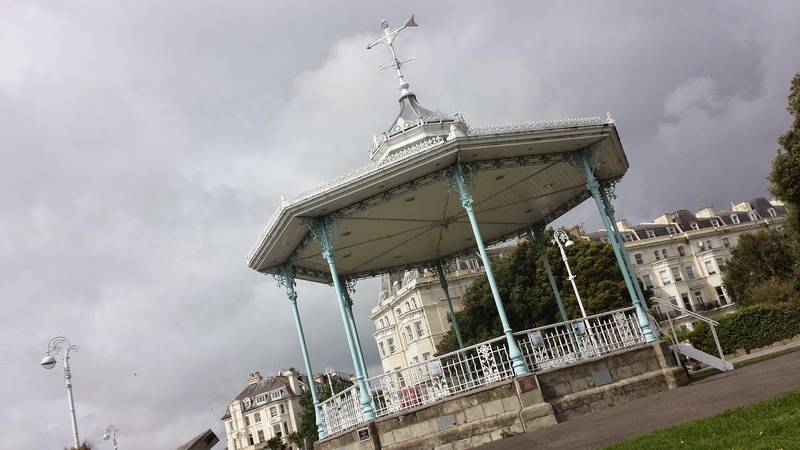 Runners head off along the top of the cliffs in a westerly direction, past the bandstand and then on towards the Grand Hotel. While running in this direction the course has a slight incline. As I was freedom running I had roughly memorised the turnaround point and once I reached it I turned around and followed the winding lower path back towards the bandstand. 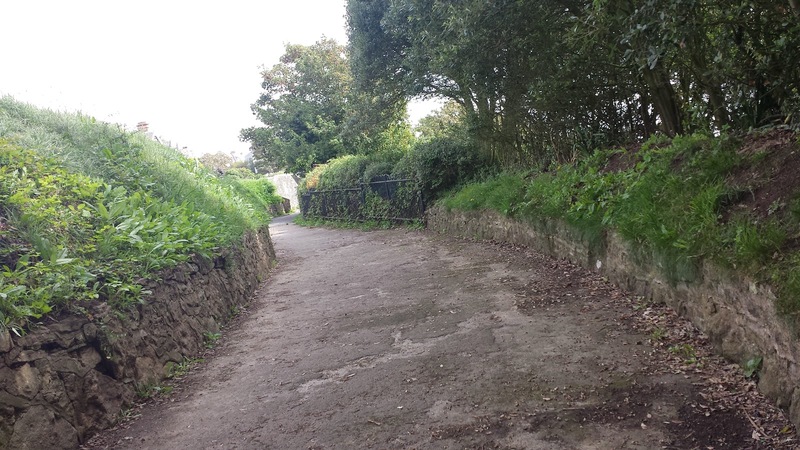 The lower path is narrower and not as well kept as the main path at the top and it meanders around just a few metres below the main cliff top path. It rejoins the main path at the bandstand and the runners now head back past the cafe - this completes the first out and back section. The second out and back section sees the runners head east from the cafe towards the war memorial arch at the far end of the cliff top. 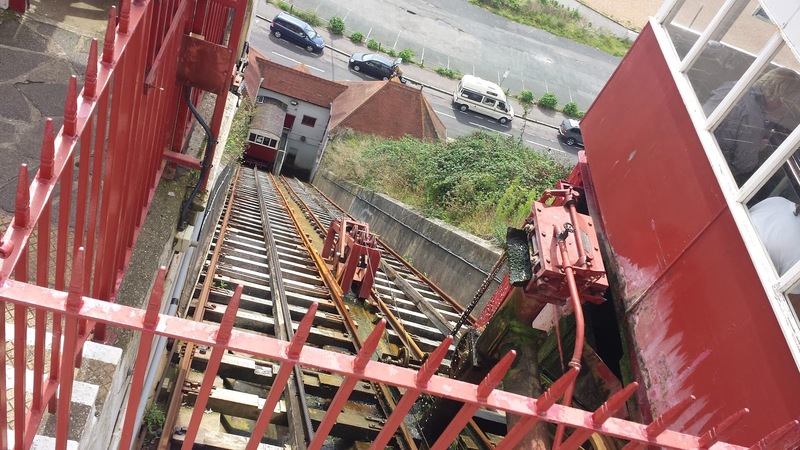 Just before reaching the arch, the runners pass the Leas Cliffs Lift which is a funicular railway that transports its passengers up and down the cliff. It originally opened in 1885 and is a grade 2 listed structure. The runners then head back towards the cafe to complete the second out and back. The final out and back is a carbon copy of the first one, with the finish being back at the cafe. Here comes the part where I reached the finish line but had only run 4.5km - I definitely ran the course as shown on the official course page. I have compared my gps data map to the official map and course description and I can't work out exactly where I went wrong. 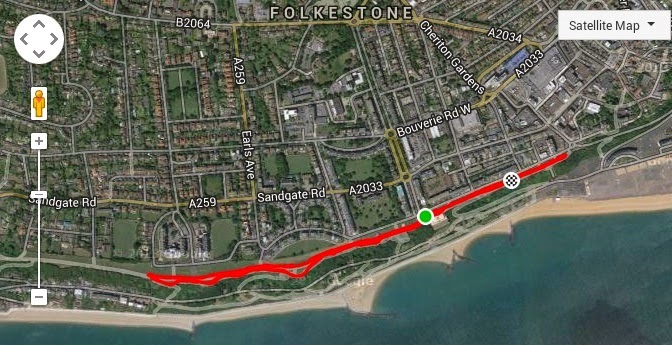 Update: I spoke to the guys at Folkestone parkrun and it turns out that the turnaround point is quite a bit further along the path than the official map currently (august 2014) shows. They encountered the same problem during their trial run. I feel a little better knowing that I did read the map and description properly. As I had only completed 4.5km of the intended 5km course, I decided to keep on running up to the war memorial arch and back again until I had completed the full 5km. This explains the strange placing of my finish point on my strava map. Even though I didn't run the exact course I have still logged it as a freedom run because I followed the official advice. 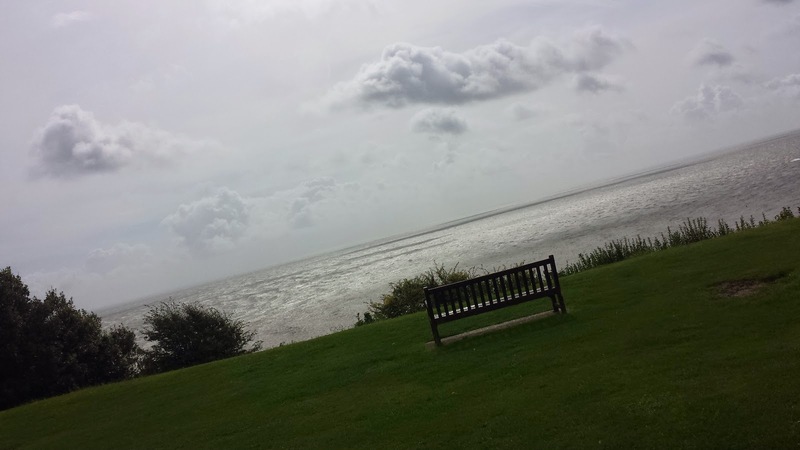 That aside, the views out to sea and of the beach are amazing. 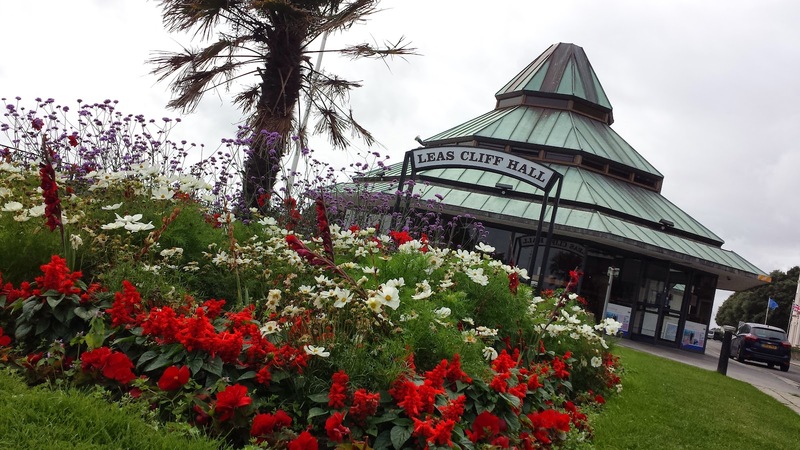 The Leas Cliff Coastal Park is the area between the parkrun course and the beach and it is a fascinating area to explore post-run. 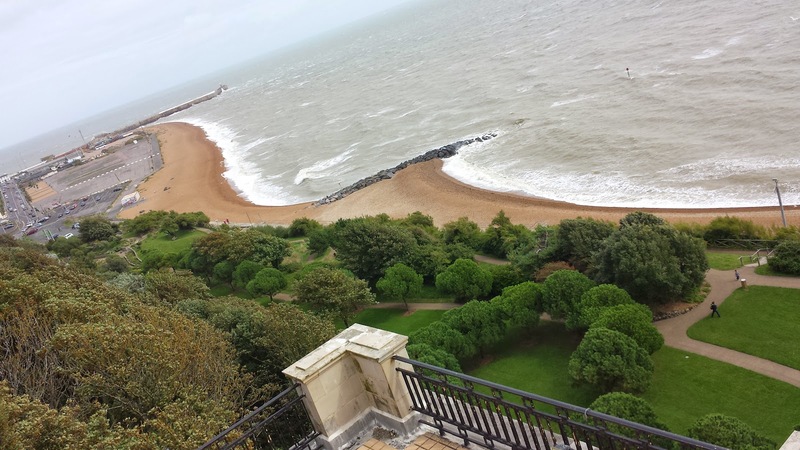 Its story began back in 1784 when a landslip created a new strip of land between the beach and the cliff side. The area became a coastal park from 2000 when the first phase of its regeneration had been completed. So that was my freedom run done. I will eventually make it back here to run at an official event, but with my commitments at Dartford parkrun it may be quite some time before I make it back. It's definitely worth a visit. Oh and watch out for the wind!